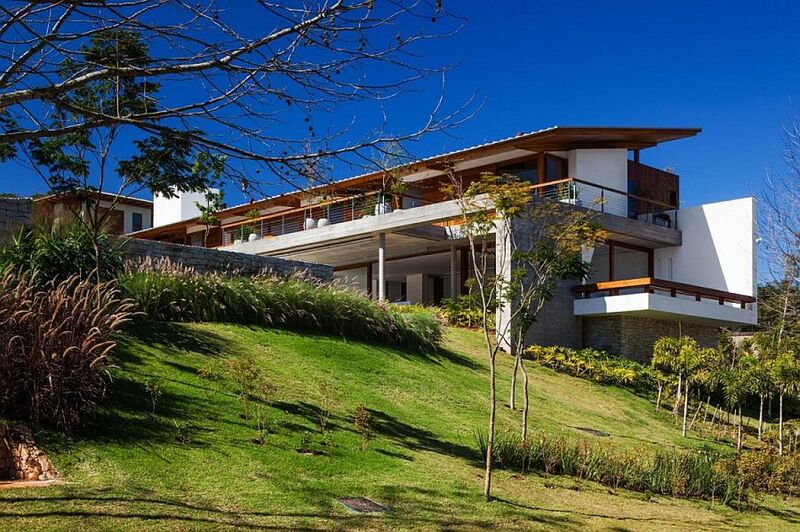 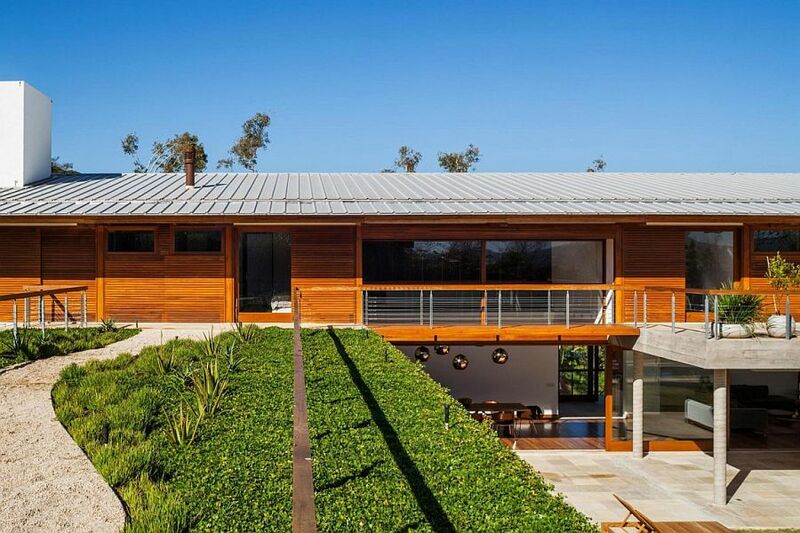 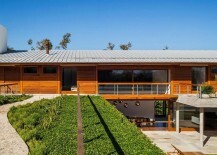 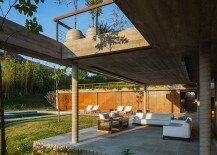 Nature is an integral part of life in Brazil, and it is no different in the case of home design as well, with most homes in the country being surrounded by a lush green landscape that epitomizes the tropical goodness of the region. 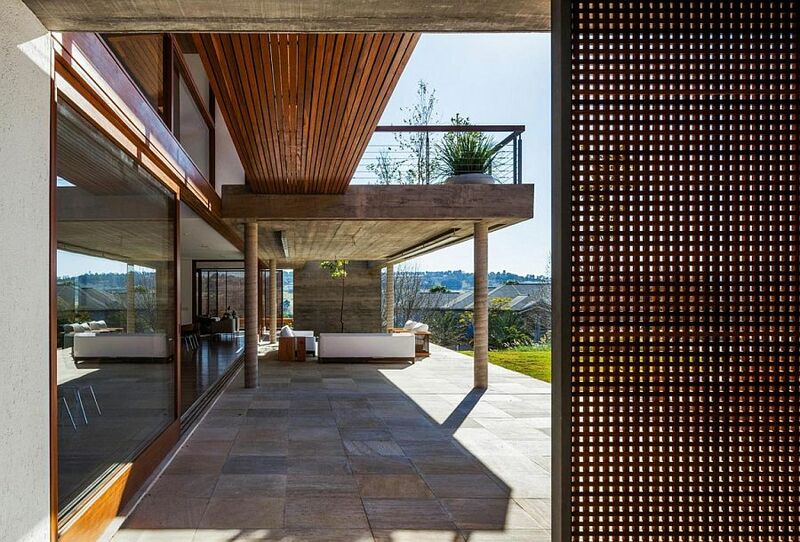 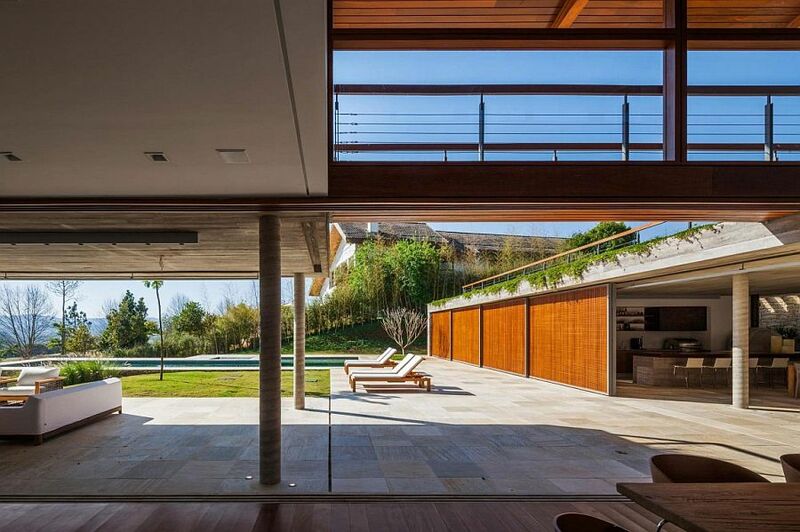 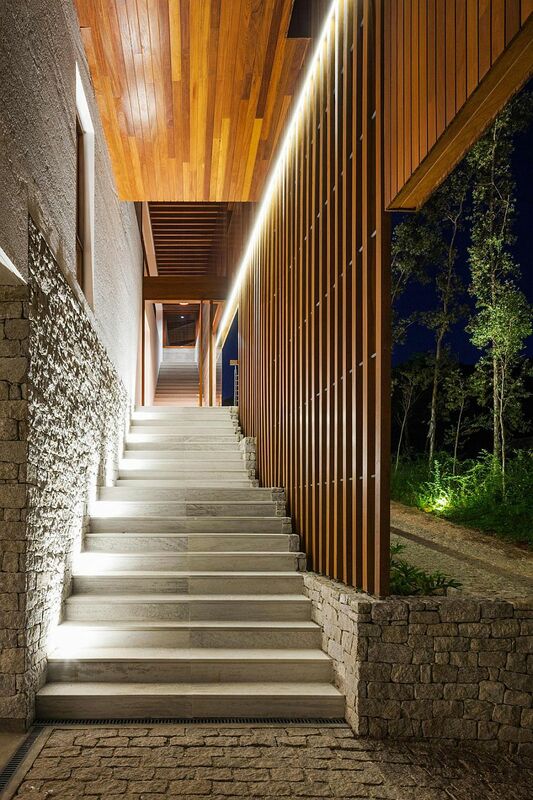 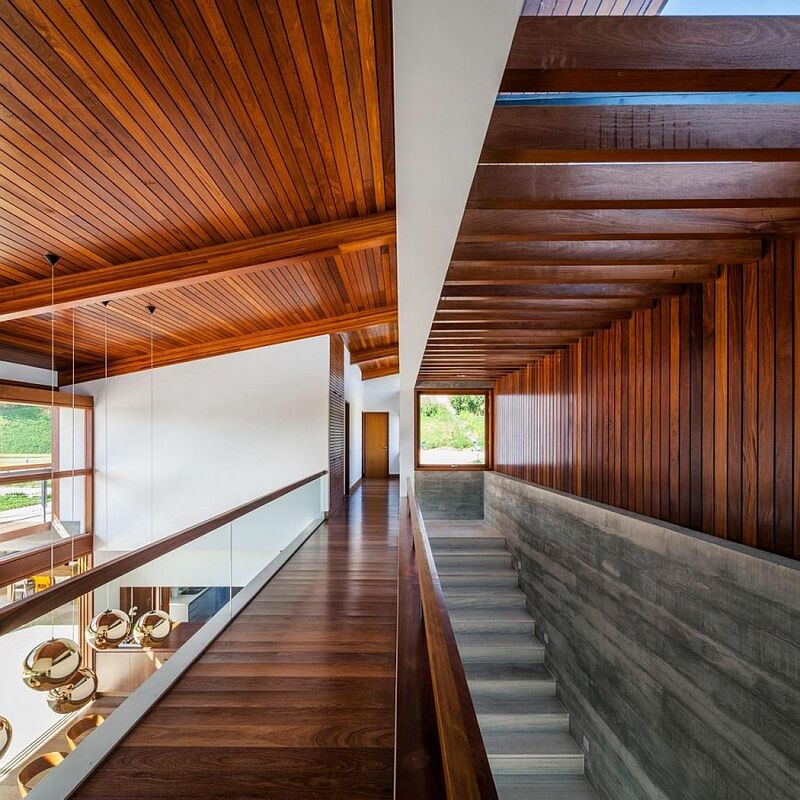 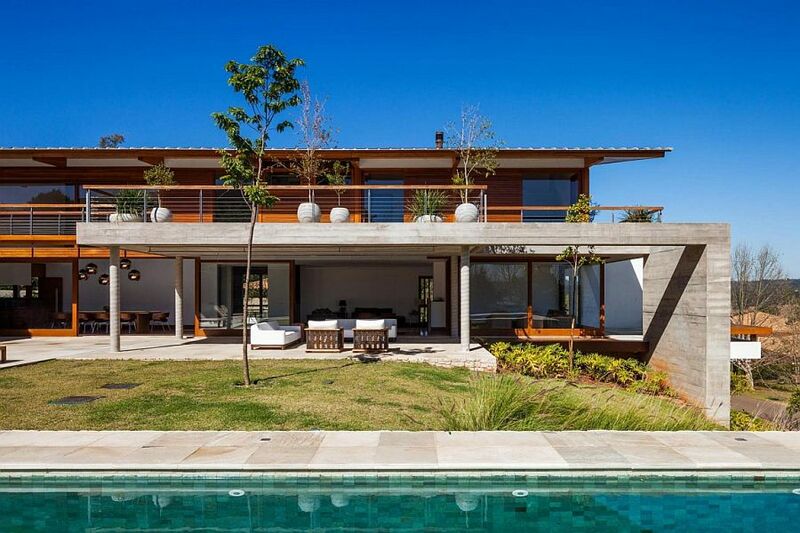 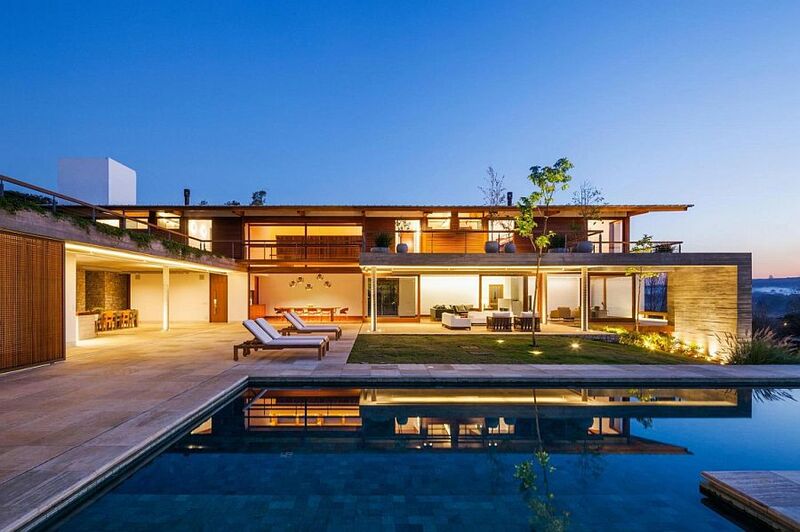 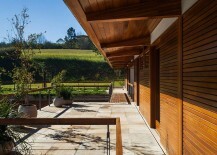 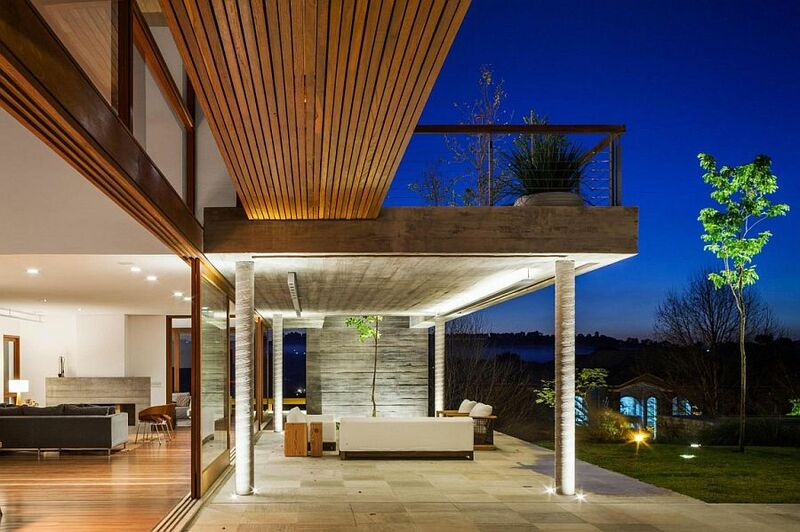 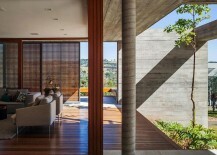 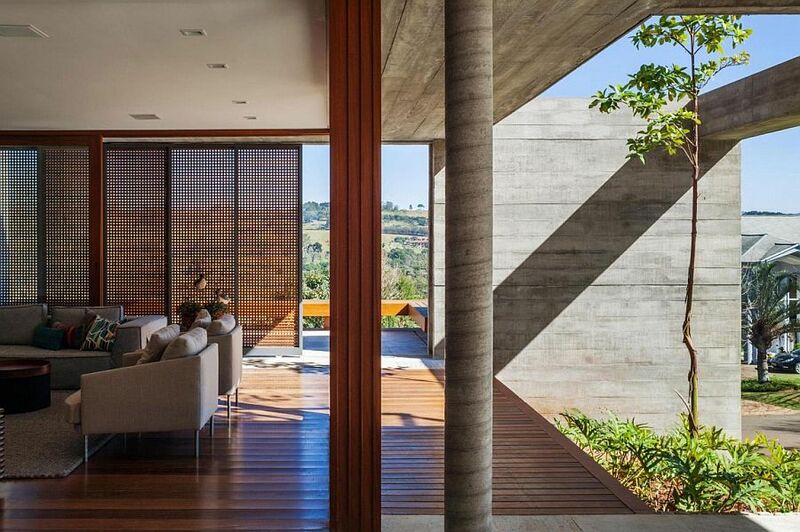 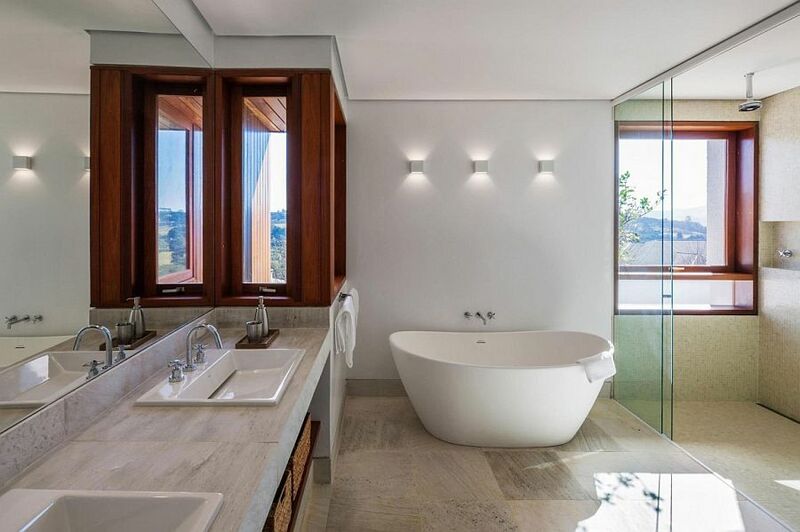 The luxurious FT Residence in Sao Paulo is no different, as it embraces the outdoors gleefully, even as the design of the house amalgamates stone, concrete and wood in a seemingly effortless and seamless fashion. 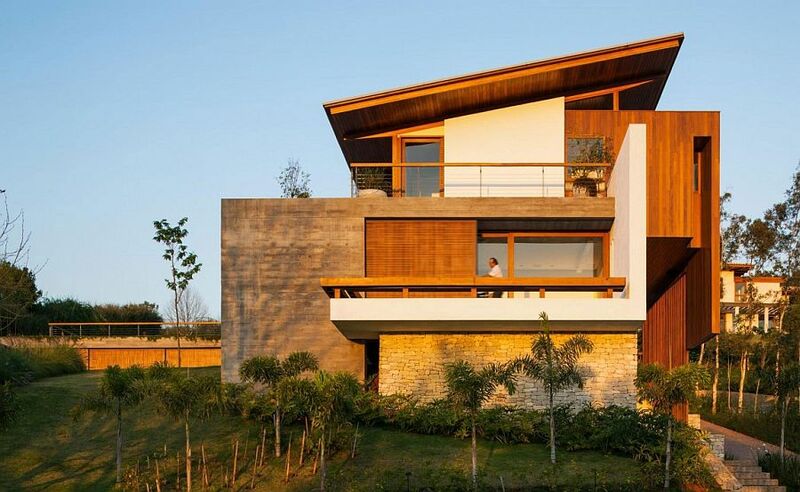 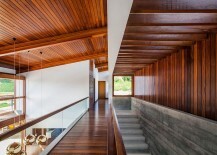 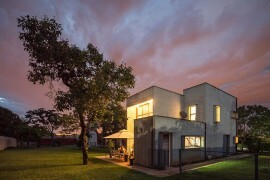 Conjured up and brought to life by Reinach Mendonça Arquitetos Associados, this is a holiday and weekend home for a modern family that creates a cozy alchemy of modern comfort and natural goodness. 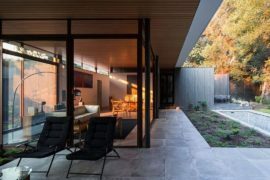 The L-shaped design of the house shapes the rear yard where homeowners enjoy unabated views coupled with complete privacy. 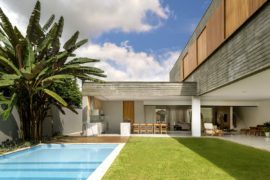 A large pool, shaded outdoor sitting zone and a lovely garden create an outdoor zone that everyone in the family can relish. 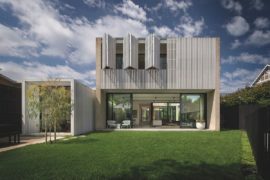 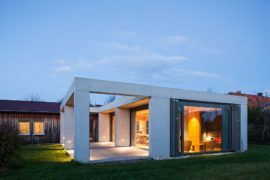 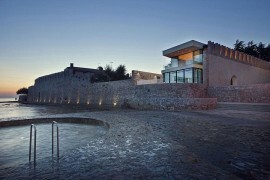 Concrete is the main component of the lower level of the structure that sits on load-bearing stone walls, while the top floor is comprised of a precast wood construction and contains the bedrooms and other private spaces. 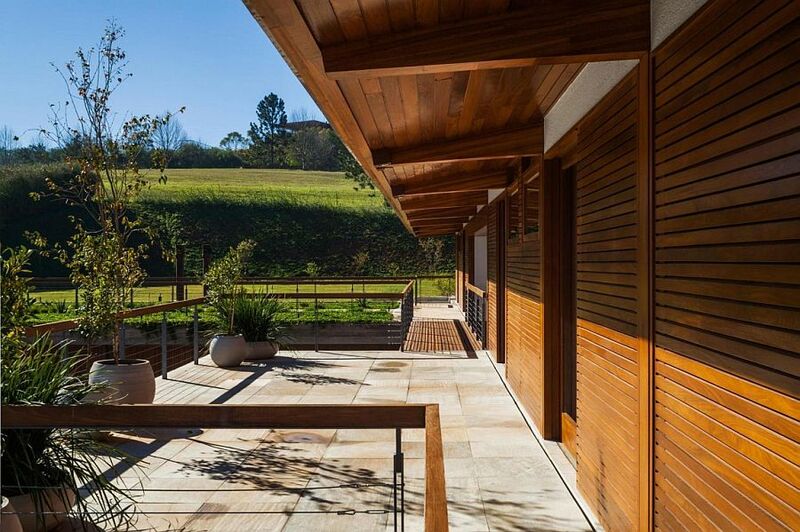 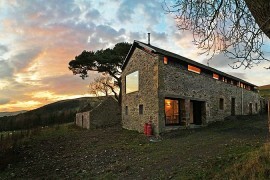 It is the ground floor that holds the living areas, kitchen and dining space, which offer panoramic views of the countryside. 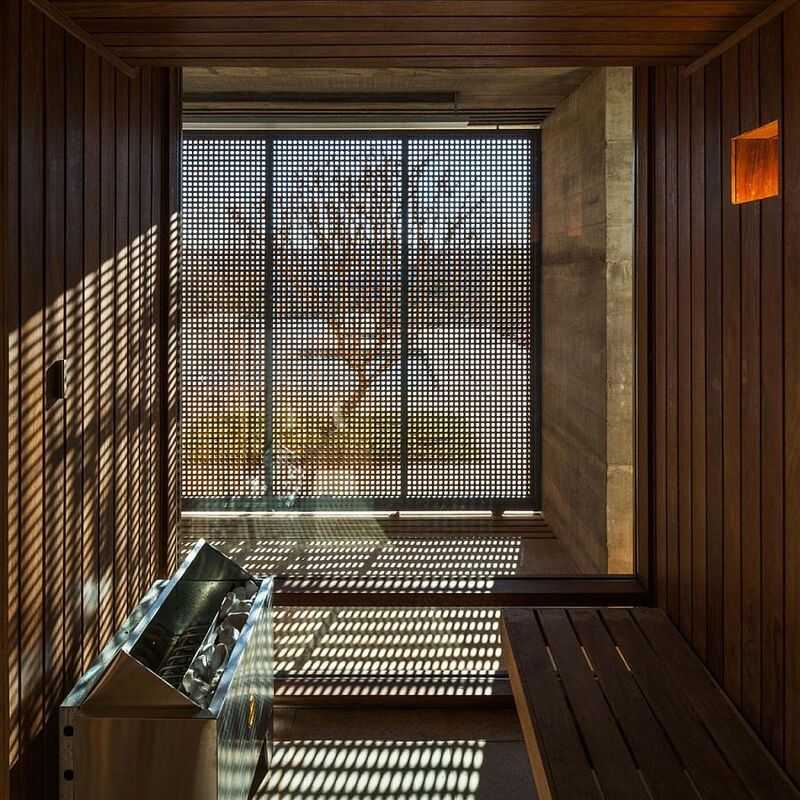 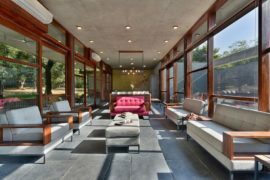 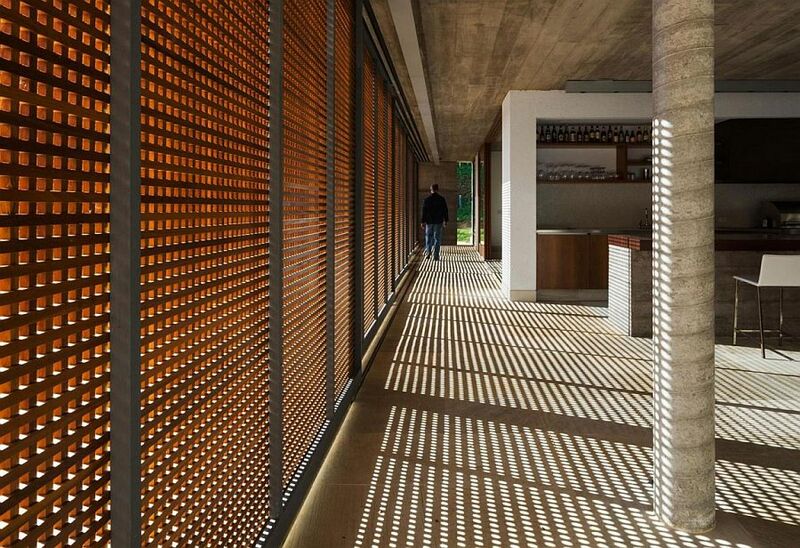 Custom-crafted wooden lattice panels with a steel frame were used to add sliding doors that blur the line between the interior and the world outside. 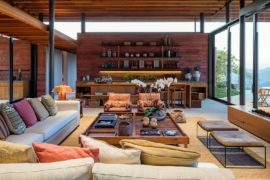 The clever use of metal acoustic tiles and a breezy and cheerful ambiance, along with comfy contemporary décor complete this stylish Brazilian retreat.